About Ray Stiles owner and practioner at Hypnosis Performance Center - Ray Stiles, Certified Master Hypnotherapist, Certified Therapeutic Coach & Master NLP Practitioner. Twin Cities Hypnosis Center serving Minneapolis, St. Paul & the Twin Cities, Minnesota metro area and Quantum Release Tele-Coaching wordwide. "Change Your Mind, Change Your Life With Hypnosis and Quantum Release™ Coaching." 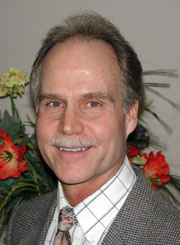 Ray Stiles, B.A., C.H., C.T.C. Ray Stiles completed his undergraduate work in 1971 and received his B.A. degree from the University of Minnesota and has also completed post graduate work toward a Masters of Education degree from the University of Minnesota. He is a Certified Hypnotherapist through the National Guild of Hypnotists and has received advanced training in 5-PATH™ and 7Th Path™ Hypnotherapy and is a Certified Master Hypnotist from the Banyan Hypnosis Center for Training & Services, Inc.
Ray completed a rigorous multi-year training program in Therapeutic Coaching from the Meta Institute and is a Certified Therapeutic Coach ® & Master NLP & HNLP Practitioner. Ray has been practicing meditation techniques since the late 1960's and has been teaching meditation, mental conditioning, self-hypnosis, and other stress reduction and mind enhancing techniques since the late 1970's. Ray has received specialized training in the Silva Mind Method from Effective Learning Systems in the late 1970's, is a master practitioner of Neuro-Linguistic Programming (NLP), and Emotional Freedom Techniques (EFT). Ray has presented talks and conducted group training programs in the areas of: Self-Hypnosis, Stress Management, Mental Conditioning™, Meditation, Body Talk -- The Hidden Language of Achievement™, Goal Setting and Beyond Goals, How to Prepare and Present Effective Seminars, and The Truth About Hypnosis. Ray has participated in advanced training or has worked with the following: Dr. John Brantner, Dr. Francis VanSacher, Robert Griswold, Bob Benedict, Robert Parker, Jim Rohn, Mark and Marilyn Evans, Leo Hauser, W. Clement Stone, Paul J. Meyer, Anthony Robbins, Larry Mon, Rick Rainbolt, Calvin Banyan, Pat Vitale, Mirtha Solis, John Overdurf, among others. Remember, thinking determines what you want, but action determines what you get. So call Ray now and get all of your questions answered or set up an appointment: 612-803-7541. Or Email Ray. No matter what you think you are, you are always more than that! Get your questions answered, then contact us for help today! "Thinking Determines What You Want, Action Determines What You Get." Copyright © 1994 - Ray Stiles, Certified Master Hypnotist, Hypnosis Performance Center. All rights reserved. Providing hypnosis and hypnotherapy services in the Minneapolis & St. Paul, Minnesota area. "The services I render are held out to the public as nontherapeutic hypnotism, defined as the use of hypnosis to inculcate positive thinking and the capacity for self-hypnosis. I do not represent my services as any form of health care or psychotherapy, and despite research to the contrary, by law I may make no health benefit claims for my services."